The Australasian tour in November last year, by Richard Gage, (now) representing 1059 qualified architects and engineers, who are calling for a new investigation of the 'collapses' of the three World Trade Center buildings on 11 September 2001, was almost completely ignored by the mainstream newsmedia, evidently fearful that if the Official explanation of 9/11 were questioned by Australians, the whole rationale for our current intervention in Afghanistan, as well as the removal of our guarantees of democratic freedoms, would quickly unravel. Below, we include an article, which explains how Jan Utzon's views changed from a full acceptance of the story we were all told to his current extremely sceptical. A video interview of Jan Utzon is also embedded. 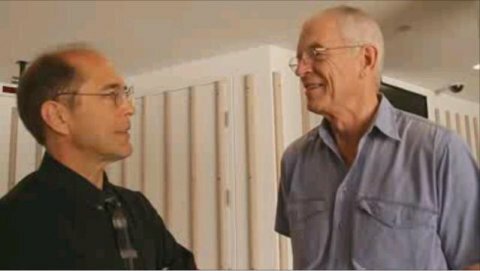 Original article of 23 Feb 2010 published as "Jan Utzon A Compassionate Architect Who Cares About the Truth" on site of Architects and Engineers for 9/11 Truth (ae911truth.org). One charge we often hear in the mainstream media against those who voice doubts about the official story is that they are "insulting" the victims' family members. This charge is absurd and totally inapplicable to anyone who simply wants legitimate answers about 9/11, and it is especially inapplicable to a man like Jan Utzon. I asked Utzon, for example, whether he and his father had discussed the manner in which the World Trade Center buildings had fallen, hoping to get some intriguing angle on the collapses from the brilliant architectural minds of the elder Utzon and his son. Utzon responded, simply, that he and his father had "felt deeply moved by the thought of the many lives lost and felt compassion for the many people who were affected." I was humbled. That's what this is all about: Honoring those who died in the attacks of 9/11, and caring for the many of us who survived, but have been, and continue to be, deeply affected by the events of that morning. Utzon feels that the way to do this is to bring the truth to light. And for this he has paid a price. 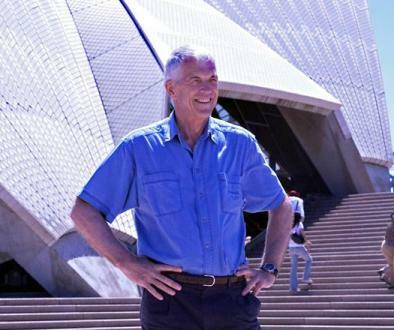 The Sydney Morning Harold, who normally expresses admiration for Mr. Utzon, wrote a stinging piece about him after discovering this remarkable interview (also on YouTube and embedded below) recorded at the Sydney Opera house by Richard Gage, AIA, in which he expresses his support for AE911Truth. 9'18" interview of Jan Utzon by Richard Gage. Also on ae911truth.org and YouTube. 1. ↑ As if it were a propaganda organ of a totalitarian police state, your ABC refuses to give any coverage whatsover to this controversy. When Richard Gage attended a picket outside the ABC's Ultimo Centre, ABC staff members were even instructed not to accept the leaflets from Gage or the other picketers. So not even the ABC staff are allowed to make up their own minds, let alone the ABC's audiences. (See also the Online Opinion forum discussion "Fine tuning the ABC") of 24 Dec 09 and "Science Show too quick to close discussion of World Trade Center collapses" of 24 Dec 08.